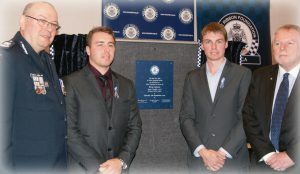 The Echuca Branch of the Victoria Police Blue Ribbon Foundation raised and donated $100,000 to Echuca Regional Health for the installation of a Short Stay Unit within the Emergency Department to be named as a permanent Police Memorial in honour of Senior Constable Peter Geddes. Then Acting Sergeant Geddes was sleeping in the Nathalia Police Station when he suffered a medical episode during the night and died. 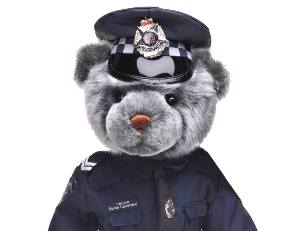 Peter Geddes was a dedicated police officer who was also actively involved in many other activities and organisations in the Echuca area. It was because of the deep respect he earned in the community that this life-saving facility was named in his honour.